Allectus, AD 293 to 296. 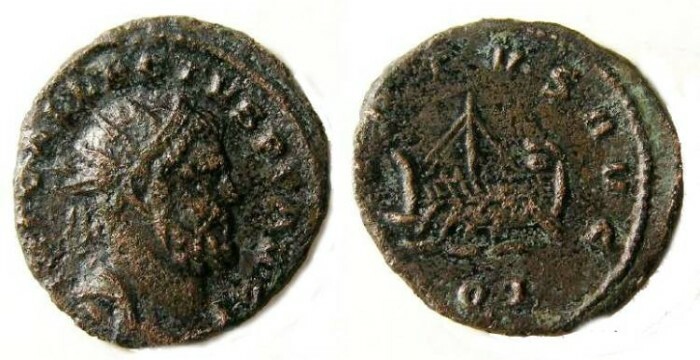 Bronze Quinarius. Size : 18.1 x 19.5 mm. Weight : 2.94 grams. Grade : VF slightly rough. Obverse : Radiate head of Allectus right, with IMP C ALLECTVS P F AVG around. Reverse : Galley being rowed left, with VIRTVS AVG around and the mint mark Q L below. The mint mark probably stands fo Quinarius Londensis.